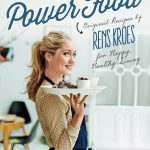 Hey Powerfoodie, welcome to renskroes.com! My love for healthy living goes way back! 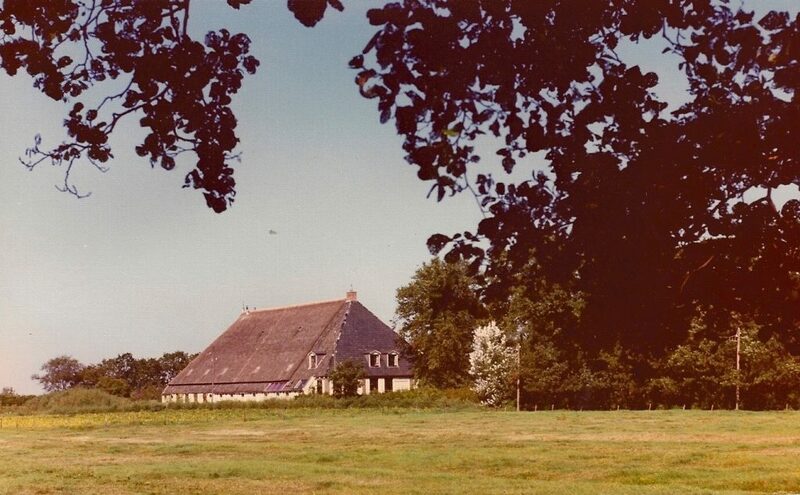 My Beppe (grandmother in Frisian) grew up in her father’s bakery/grocery store in a small, Frisian village. The store was eventually taken over by her brother, Uncle Ids. Both were known for the sourdough bread they baked and they sold the tastiest oat cookies in the village. 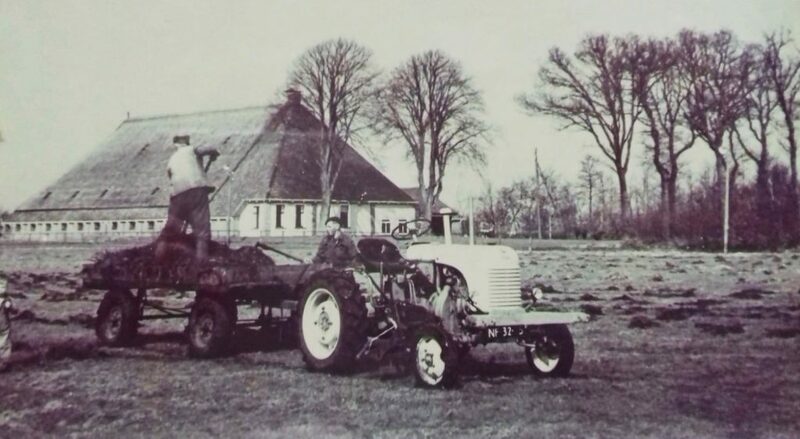 Beppe married my Pake (grandfather in Frisian), who had taken over his father’s farm in Friesland in the 1930s. In the 1960s, an increasing number of farming businesses began to move toward a more industrial agricultural model. Beppe was skeptical of this trend and convinced Pake to move toward organic production. It was a progressive move at the time, but Pake followed her vision. At the end of the 1970s, they stopped farming cattle altogether and produced only vegetables, fruit and herbs. Their daughter, my Mem (mother in Frisian), went into nursing when she was about 18-years old – she was fascinated by the human body. She discovered that in hospitals, a great deal of attention was devoted to medicine and almost none was devoted to nutrition. This made her very aware of the choices she made. She began learning about the role of nutrition in the progression of certain diseases. She also began her studies to become a nutritionist. It won’t come as a surprise, then, to learn that we ate predominantly plant-based, organic, whole food at home. My parents did the grocery shopping at my uncle’s store and we ate as many vegetables and herbs as possible that we had grown in our own garden. In the cold, winter months, we grew kale, Brussels sprouts, leeks, carrots, endive and potatoes. In the spring and summer, our garden was full of fruit and summer vegetables. We ate dandelion leaves (good for the liver) and nettle (high in iron) and were fed bee pollen, spirulina and seaweed, too. Based on the story so far, it’s probably a no-brainer that nutrition ended up being a big deal in my life. I started blogging about my love of (healthy!) food and drinks in 2013, when I was still working at an obesity clinic (where I learned about the psychological side of eating). My blogs were well-received. It was so satisfying to be able to help people just a little bit with my tips, tricks and advice and by sharing my own lifestyle with others. 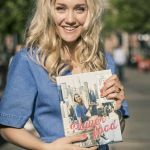 Later in 2013, I began my own food-coaching practice, where I spent the next three years coaching so many sweet, satisfied @powerfoodies. Being able to contribute something positive and good in this way meant so much to me. Healthy, balanced eating and the right advice made people happy and I will never forget this experience. 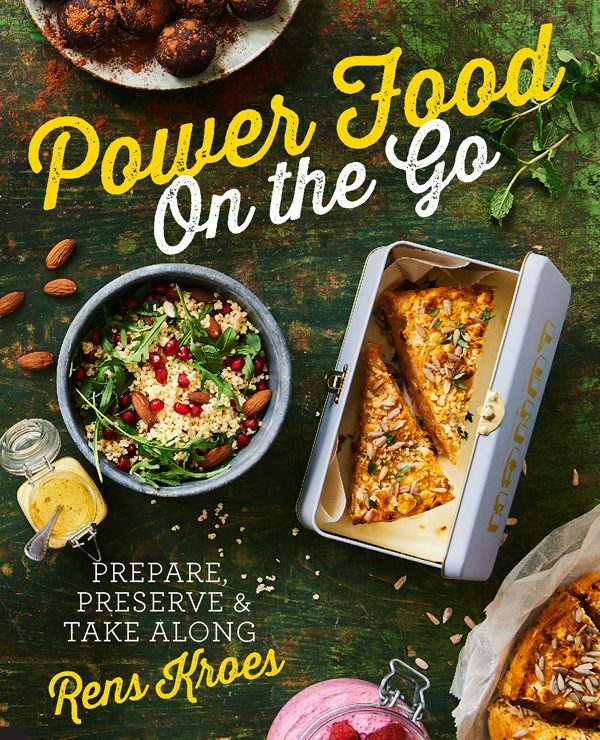 Meanwhile, I launched my first book, Powerfood. 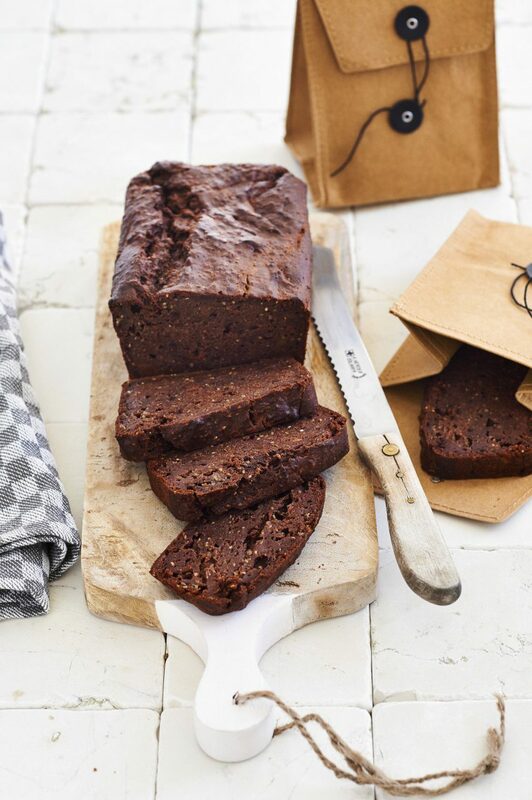 The positive feedback poured in: ‘Because of the advice in your book, I’ve started eating more consciously’; ‘I’m finally feeling less bloated’ and ‘Now that I spend more time in the kitchen, I enjoy the food I eat so much more’. More than once, your amazing words brought me to tears. I’m so proud that I was able to help. So, I continued on, writing a second book (Powerfood – from Friesland to New York, which is not in English). And then a third (Powerfood – On the Go) and a fourth (Powerfood – the Party Edition, not in English)! The beautiful, sweet messages continued to flow, but I also received questions on a regular basis. In my first four books, I focused on sharing recipes, but between the lines, I also shared a bit about my lifestyle, what I believe in and what I stand for. 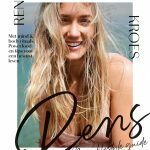 The questions about my lifestyle led me to write my fifth book: Rens – My Lifestyle Guide. After book one came out, I already had book five on my mind. After book four, there was finally the room to get to work on it. I had the opportunity to calmly and broadly explain what my vision is, where I’m coming from. In book five, I explain the basis, how I see life. I share who I am, that I don’t spend all my time downing ‘superfoods’ (not to be confused with Powerfood) and sipping juices, and that I do stand for so much more than that. A happy and healthy lifestyle is created by finding balance in the areas of nutrition, exercise, relaxation, mindset, what you radiate into the world and how you take care of the world around you. Are you aware of these things on a daily basis? If so, then, to me, you are living a healthy lifestyle. By fully explaining my vision and accompanying lifestyle in my fifth book, I hope to inspire others to live as balanced and conscious a life as possible. And the recipes from my previous books fit nicely into this balanced lifestyle. This last book has made my story more complete than ever and I am so, so proud of it. Hopefully this one will be in English soon! 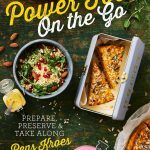 In June 2018, my partner and I started an online store called Powerfoodies Market. The store sells my own food products (stay tuned!) and goodies. What was the idea behind it? Four years ago, I created my Instagram page @powerfoodies. 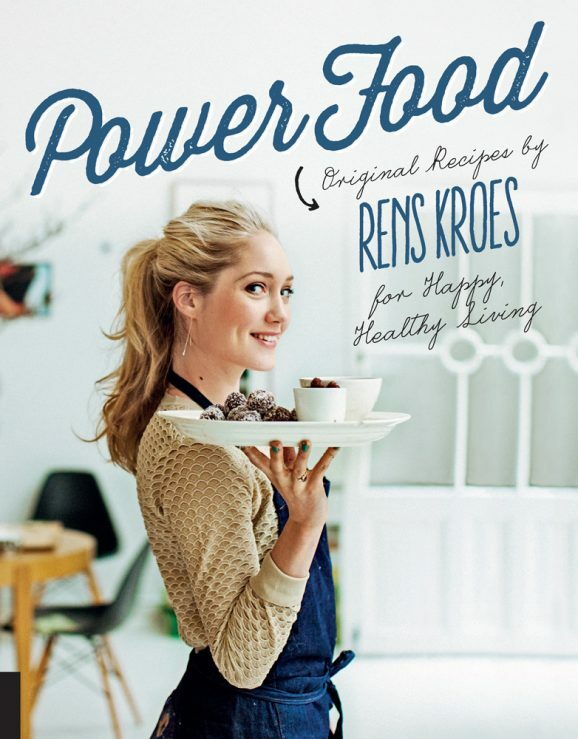 I wanted to offer a platform on which everyone could share their Powerfood recipes using #powerfoodies and #renskroes. This was a big success. I also noticed that I was starting to receive a lot of questions about where I buy certain (sustainable and high-quality) products, like essential ingredients and kitchen supplies. So, we started this website for everyone who is looking for high-quality, sustainable (tasty) products and wants to know where they came from, accompanied by recipes, information and tips. Running an online store is very different than anything I’ve done before. It requires pure entrepreneurship and requires an enormous amount of time. But it’s worth it! Because every time I send off an envelope with my very own stainless-steel drinking straws (better for the environment) in the mail, it makes me so happy. 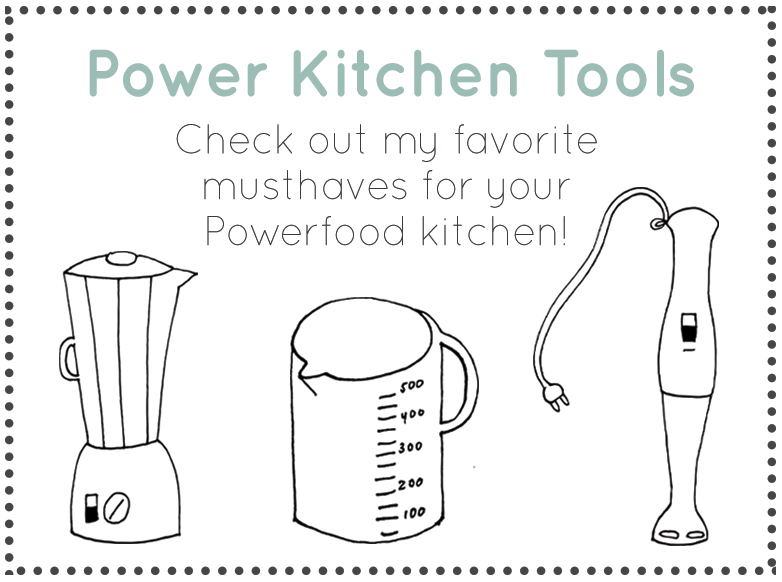 I’m also super interested in hearing what you think of the Powerfoodies Market. So, have a look and share your impressions with me. I’d love to hear from you. On this platform, I give you a peek into my lifestyle, with a focus on nutrition. I want to inspire you to become (more) aware of your own choices and your own life. And I hope that in becoming (more) aware, you will act accordingly in the world to create a happy and healthy lifestyle for yourself and for the world around you. Being aware in my life is key, for me! Everything I do, I do with my full attention. Every day. Whether it’s eating or taking care of myself, or others or the planet. Being aware of your thought patterns is, in my opinion, just as important. You can easily convince yourself of something by believing that your negative thoughts are justified. But they usually aren’t. I’ve learned to listen to my thoughts. Just listen. You don’t necessarily have to do anything in response to them – they are just thoughts after all. Sometimes they are true and sometimes they are not. Either way, there are a ton of them every day. What is great about this is that you can choose which ones you react to and which ones you ignore. I try to react to my positive thoughts as much as possible. I believe that you attract into your life whatever you focus on, so why not make it something positive, right? In this way, you’ll create positive vibes and make yourself happier. It works for me, anyway. What also helps me to be positive in life is to dare to be vulnerable, even in response to things that you find difficult. It’s a bit of a paradox, but I believe it’s exactly what you need to achieve what you set out to achieve. It is so important to really see what is and what is not going well and not just stick your head in the sand. I know very well that I don’t do everything perfectly, but thankfully I don’t need to. I feel like crap sometimes, angry or sad. These are all feelings that are allowed to come up. And by acknowledging the more difficult moments, I’m better able to put things into perspective and keep my negative thinking at bay. I allow the feelings to exist, but I choose to focus on the positive in my life and, in this way, a whole bunch of good vibes are created. It’s so great. If you’re constantly switched ‘ON’, your body will be knocked out of balance. Always being on-call or ready to respond creates a certain amount of stress, which, in turn, affects your body. Because the physical and mental well-being are so closely linked, I think it’s essential to take the time to relax when necessary. This allows me to recharge. I share the ways that I relax in my lifestyle book. ‘Healthy eating’ is a relative term. I really believe that. There isn’t one, single way to eat healthy. Everybody has different cravings, needs and habits. Moreover, every body is different, which means that everyone’s nutritional needs are different, too. Over the years, I have developed my own vision on food and nutrition. Based on the way I was raised and developments in the food industry, I came up with my own opinion on the issue. I have built upon and updated knowledge I gained growing up, but I always keep in the back of my mind the wisdom that my grandparents and parents shared with me. It doesn’t have to be complicated. It really doesn’t. The purer the food (Powerfood), the better. This is what I learned and it is what I truly want to share with all of you. I’m not saying that my vision is the only legitimate one out there, but it is the way of eating and living that makes me happy. I ensure that the lion’s share of my diet is plant-based. I choose vegetables and/or fruit as the key ingredient in my meals and add as few animal products as possible. Eating this way makes me feel better and I believe it is better for the environment. This is also why I tend to choose local, seasonal products. I do, however, like to experiment every now and then with ingredients from other countries and cultures… I’m definitely still curious and love to learn – especially when it comes to food. But no matter what, I make sure the food I eat is organic where possible. I like to support organic agriculture and think that chemical pesticides and herbicides are simply not good for the environment or our own health. I believe that taking good care of yourself is also an essential part of a happy and healthy lifestyle. You are at your most beautiful when you care for your body. Taking care of yourself, of course, includes staying fit and healthy, but it all begins with accepting and appreciating the way you look. You are so beautiful. Really. OMG, take a good look at yourself! Even the things you think aren’t good enough are fantastic. Trust me. Maintaining a positive self-image is the most important aspect of self-care. I work up a sweat about three times a week. Working out has a positive influence on my health, my self-confidence and my focus. But even ‘exercise’ in a less intense form has this effect… Walking, dancing, jumping on a trampoline – I love it all! Getting enough exercise is essential to feeling good, but it is just as important not to be too hard on yourself. Terms like climate change, the collapse of biodiversity and plastic soup are ones that we hear more and more often these days. Unfortunately, things are not going well in terms of the health of our beautiful planet. We number in the billions and are exhausting the world. Because we live in societies characterized by mass consumption, we use huge amounts of fossil fuels, deforest massive areas and overfish our oceans. We emit far too much greenhouse gas. We also need to be concerned about the disappearance of insects – without them, we will be unable to grow food. – Connect with nature as deeply and as often as possible. – Make sure the dishwasher is full before running it. – I switched to an energy provider that delivers green energy. – Shower only as long as necessary. – If you’re cold in your house, put on a sweater before turning up the heat. – Cook with natural materials as much as possible. – Eat a plant-based diet. – And I have my own vegetable garden (window-sill gardens count, too!). And now one more thing, full disclosure: I do have one big weakness when it comes to the environment. Flying. I really love to travel. But no matter how good it is for my mental health, I’m not doing the planet any favors by getting on a plane. I know this. I think long and hard before I book a long flight. A holiday closer to home can also be great. When planning travel, I also consider driving or taking the train instead of flying. Whenever I think about getting in the car to go somewhere, I consider whether or not I can bike or take public transport. Is it bike-able? If so, I get on my bike. So, no, I’m definitely not perfect, but it all begins with awareness. I’m convinced of this. Every small step we take in the right direction has a positive effect on the future of our planet. It’s a reassuring thought. Something to hold on to as the future of our planet approaches. That’s it. That is what my company and I stand for. These are the things that keep me happy and healthy and help me to strive toward the best version of myself. My vision changes every day based on the things I learn and experience, but what I’ve shared above is the basis of everything. It is and will always be the foundation upon which I build everything else. I hope that this website inspires you to be the best version of yourself you can be without being too hard on yourself. I hope that it helps you find balance and motivates you to be good to yourself and your surroundings. I hope you can use it as a guide and that it offers a bit of support. Only you can lead your own life. No one else.